Start by spray painting the canvas. I originally did a metallic gold, but the sheen was too much to look at, so we went with an aqua instead. 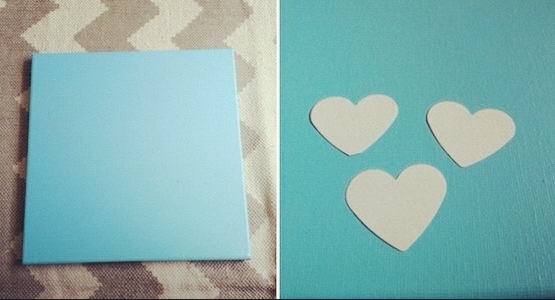 Then I punched out 60 hear shaped card-stock papers for the guests to write a note on. Now for the math problem! 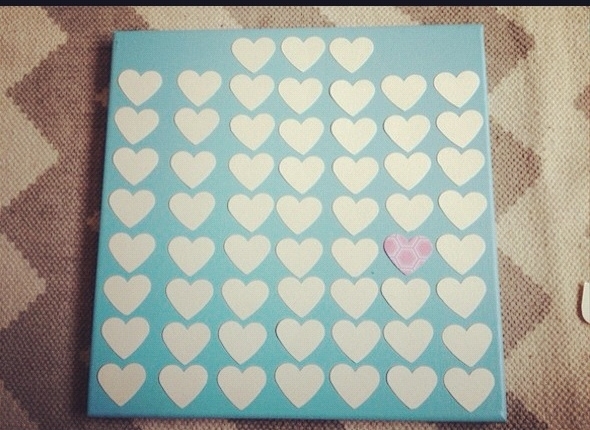 I laid out the hearts to get an idea of how many I wanted and where I wanted them. 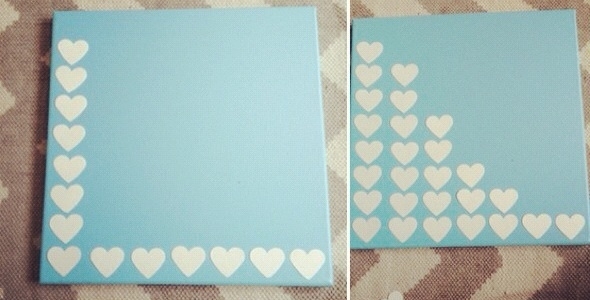 I decided on 56 hearts and made sure they were in line and straight before I started glueing. Once they are in perfect order, time to start glueing. I used a glue gun and used just a dollip of glue on each. 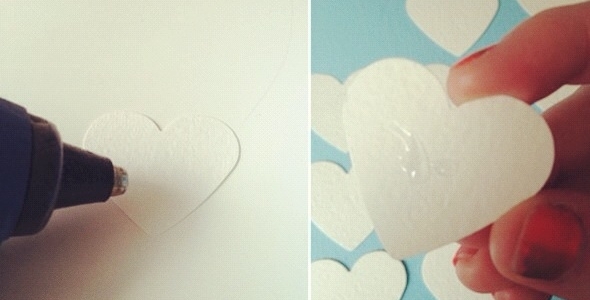 This heavy duty glue worked perfectly to keep each heart on the canvas. Once you finish playing with glue, you will have a blank canvas with which to work. Honestly it looks fabulous just like it is. 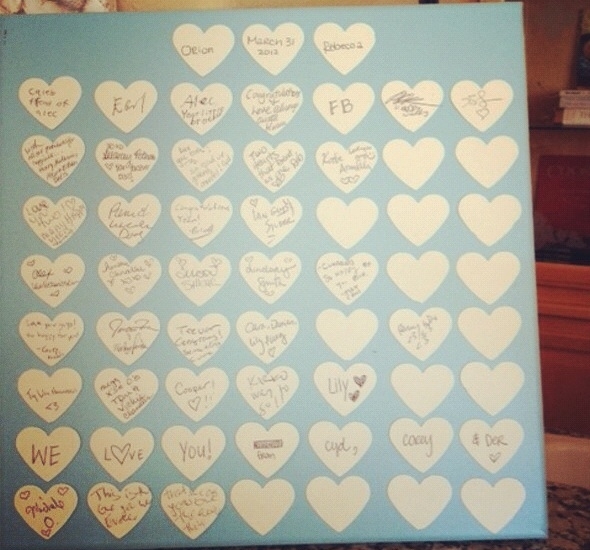 After the wedding was over we had a fairly complete canvas. The bride and groom loved the idea and can't wait to hang it up in the home. And there you have it. 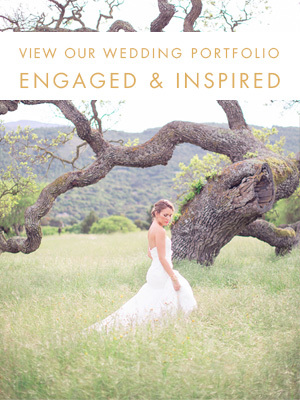 An easy DIY perfect for your wedding or for your home.